We’re checkin’ out trends today, brothas! See if you can take advantage of higher highs and lower lows on EUR/USD and USD/CAD’s charts! 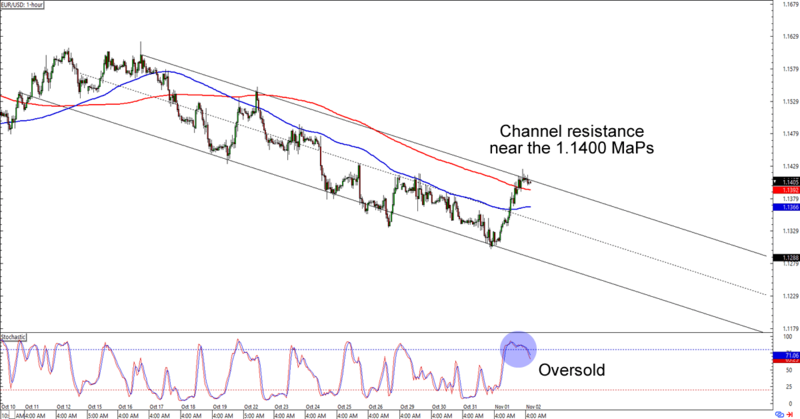 EUR/USD is hanging around the 1.1400 major psychological level, which is right at a descending channel resistance on the 1-hour time frame. Think the euro is in for more pain against the dollar? Selling at the earliest signs of bearish momentum can give you a good reward-to-risk ratio especially if EUR/USD ends up making new 2018 lows. If you’re not convinced that the euro will extend its downtrend, however, then you can also wait for a pop above the area of interest we’re watching and set up a trading plan for an upside breakout. Here’s another pro-dollar trade for ya! 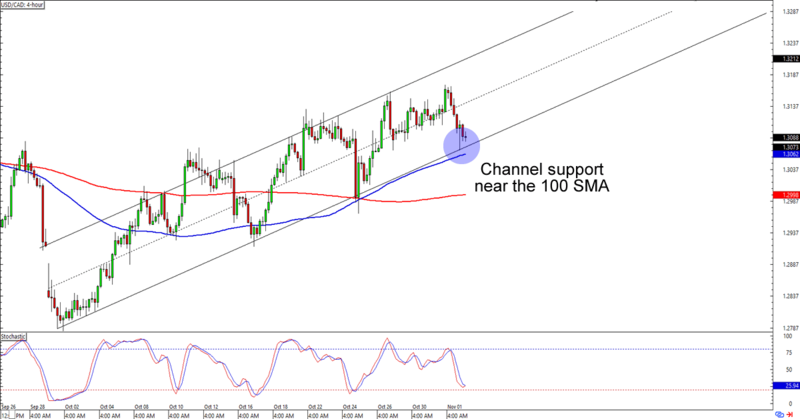 USD/CAD is testing the 1.3075 area, which is right around an ascending channel support AND 100 SMA on the 4-hour time frame. The pair hasn’t shown signs of bouncing from the level yet, so y’all still have time to whip up your trading plans and prepare for any and all scenario around the channel support. Whichever bias you choose to trade, make sure you practice good risk management when you execute them trading orders, aight?